Zhang Lu, a Korean-Chinese filmmaker who was born and raised in China’s Yanbian Korean Autonomous Prefecture, has been living and working in Korea since 2012. 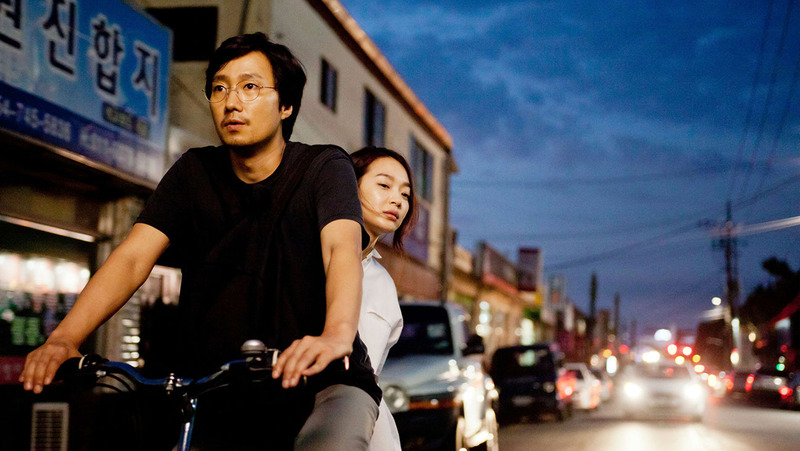 Most of his films have focused on the disenfranchised ethnic Korean and Chinese-Korean people living in China; these include Grain in Ear (2006), Desert Dream (2007), Dooman River (2011), Scenery (2013), and Gyeongju (2014). In 2015 he cast Moon So-ri (Oasis, A Good Lawyer’s Wife), Ahn Sung-ki (Revivre, Rough Play), Park Hae-il (War of the Arrows, Boomerang Family) and Han Ye-ri (Commitment, Kundo: Age of the Rampant) for his 70-minute film, Love And… – an unconventional film about love. Zhang Lu’s latest production had its premiere at the 10th London Korean Film Festival, which was also the Closing Night film at this year’s festival. We were delighted when we were invited, along with Hangul Celluloid, Ekran Magazine, EasternKicks and The London Tree, to conduct a 25 minute interview with the filmmaker. EasternKicks: Your film is split into several chapters, and each one uses a different film style, why did you decide to use these particular styles for each chapter? And how do you think they each represent love? Zhang Lu: When I first started making this film, I was offered by the Seoul Elderly People’s Film Festival and they asked me to make a film for the opening gala. So I made the first chapter that is shown in Love and… and that expanded to become the film in the end. Going back to this film festival, the opening film I made was about the quality and feelings of film and elderly people. Another reason why I was interested in using film was because nobody uses it these days, they all use digital. There’s not even a place in Korea where I can bring the negatives and get them developed, so I had to go overseas to Japan to get it printed. When it came to the other chapters in the film, I couldn’t sleep thinking that I was using digital. I felt that after all that, I needed to make Love and… using film. So I went back to the first chapter, and shot the space that was in the first chapter using film. I also missed the actors in the period when film was used, so in this film that’s why I brought the actors back from the ‘old days’ and made the film in 60mm. If I knew the definition of love I would quit my job. I am still in search for the meaning of love and I am not sure if I will find the meaning of love in the end. View of the Arts: Before we go back to Love and… some of your previous films tackled the sensitive issue of ethnic Chinese Koreans, and Koreans living in China, which can be seen in Grain in Ear, Desert Dream, and Dooman River. Is there any personal attachment to these projects? Zhang Lu: My background is definitely reflected in my movies. My parents immigrated to China during the Japanese occupation back in the 1930s, and I was born there and brought up there. In the last three years, I moved to South Korea to teach people about movies and my life has changed quite a lot as a result. 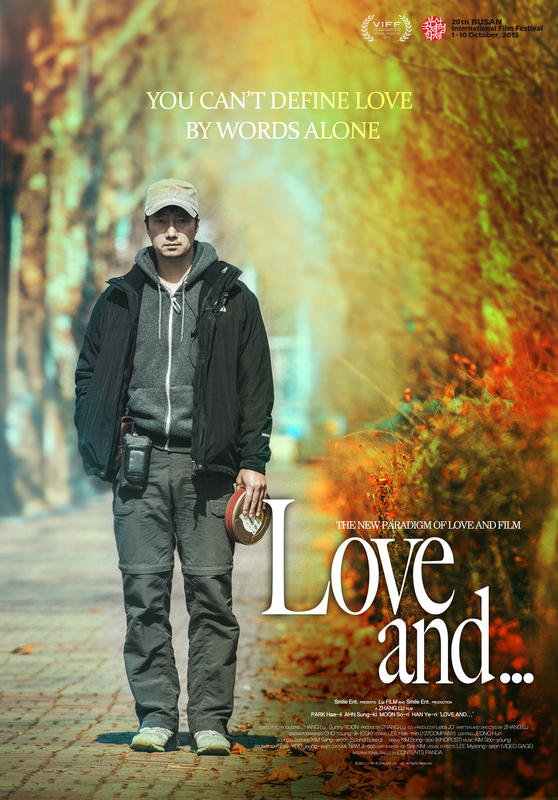 Love and… doesn’t have this theme, but this doesn’t mean that my style of making films has changed. Hangul Celluloid: Love and… references to a number of classic Korean films, Memories of Murder, Blind River, Peppermint Candy, how did you go about choosing which films to reference? And why did you pick those films? Zhang Lu: If you literally translate the title of Love and… from Korean, it literally means Film Period Love. The four main actors and actresses that are in this film have worked on films that use film before, for example Moon So-ri did this in Peppermint Candy, so that was the reason I used that film. Park Hae-il was in Memories of Murder which was also made using film, so that’s the reason why I chose those four movies. These actors and actresses were actually most active in the industry when film was being used. Ekran Magazine: You worked with Moon So-ri, Ahn Sung-ki, Park Hae-il, and even with Shin Min-a. Are there any filmmakers that particularly inspire you? And are there any actors that you would like to work with? The London Tree: I really liked your film Gyeong- ju, and I really liked it. What kind of techniques did you use to make this film? Zhang Lu: Thank you for liking this film. Filmmakers sometimes don’t even know what devices or techniques they can use for a film. I didn’t use a certain technique, it was the space that I used in the film which pretty much did the whole job. Most parts of the film were in fact my own experience. I did go to Gyeong- ju province in 1995, and I stumbled upon that café, drank the tea, and accidently found the picture. I really did go to the funeral of my friend’s father. All of these experiences were quite surreal, and they weren’t really connected but it did happen in a couple of days. So there’s no such technique, it was the space. The later part in the film where Park Hae-il went to Shin Min-a’s film was the only thing that wasn’t based on my own experience. The film pretty much reflects the atmosphere of Gyeong- ju, and that does the job of the movie. So go to Gyeong- ju, and you never know, you might meet someone as beautiful as Shin Min-a! Interviewed by View of the Arts, EasternKicks, Ekran Magazine, Hangul Celluloid and The London Tree. Pictures © Courtesy of the films’ production companies.